I prefer not to get too deeply involved with political issues except when it seems someone is misstating the Church teaching to promote/attack a political view. Generally speaking when one starts to argue on the political grounds, it is all too easy to get pigeonholed as either "Left" or "Right" and thus get evaluated on whether people agree with the partisan view compared to whether the position staked out is true. Thus I haven't, for example, weighed in on things like the "Tea party movement." (I don't belong to the movement in case you were wondering.) I believe that change is good if the position is to move society closer to what God wills and does so in a way which is just and charitable (otherwise you have the paradox of doing evil to bring about good), but I don't like the idea of "OMGWTFBBQ! Society is so screwed up, ANYTHING is better!" Of course I do believe that sometimes the Christian must get involved in the issues of Social Justice, either to oppose an evil or to urge a reform. Thus this article on the Social Teaching of the Church. Unfortunately, with the pigeonholing of positions into "Left" or "Right" it is easy for the Church teaching to be blasted from one side or the other. All one needs to do is to label a position as one side or the other and then declare their agreement or opposition. Thus when the Bishops speak out on the promotion of abortion in policies of Obama, they are labeled "right wing" by those liberals who disagree. Yet when they take a stand on illegal immigration or nuclear war, they are denounced by conservatives as being "left wing." In doing so, the so-called Right pigeonholes the Church as liberal in all things and the so-called Left pigeonholes the Church as conservative in all things. So does this make the Church schizophrenic? Or is it a case that the Church holds a different view on the meaning of justice, charity and truth which does not fit into categories of "Left vs. Right"? We can demonstrate with a Euler Circle that the Church holding a position does not mean it holds to a political ideology. Just because "All [B] hold [A]" does not mean "All [A] holds [B]"
If anyone holds position A, who does not agree with position B, the accusation is false. This is why it is an error to hold that because the Church holds position [A] they must be holding political ideology [B]. However, if the Church holds [Q] for any reason other than the partisan [P] then this reasoning is wrong. So before one can accuse the Church of being Liberal or Conservative because their position on an issue is similar to a position a political party holds, one needs to look at the reason the Church holds a position. ﻿29﻿ Jesus replied, “The first is this: ‘Hear, O Israel! The Lord our God is Lord alone! ﻿34﻿ And when Jesus saw that (he) answered with understanding, he said to him, “You are not far from the kingdom of God.” And no one dared to ask him any more questions. ﻿The teaching of the Church on the obligations we have is indeed based on our obligation to God and to our fellow man. On one hand, the man who says he loves God and hates his brother is a liar (see 1 John 4:20). On the other hand, how we love our neighbor must reflect doing what God commands. Thus we may neither carry out a jihad-like program to carry out God's will since we must carry out His will in a spirit of love. However we cannot do what pleases our neighbor if that runs afoul of the Lord's teachings. Pope Benedict XVI, in his most recent encyclical, Caritas in veritate ("Charity in Truth"), has set forth considerations we need to keep in mind in the treatment of our neighbor. 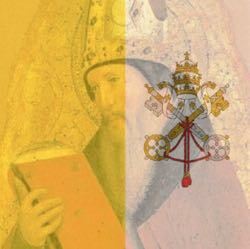 Unfortunately, this encyclical has been viewed as either a justification for a certain political slant or else a citation to denounce the "other" side. I am aware of the ways in which charity has been and continues to be misconstrued and emptied of meaning, with the consequent risk of being misinterpreted, detached from ethical living and, in any event, undervalued. In the social, juridical, cultural, political and economic fields — the contexts, in other words, that are most exposed to this danger — it is easily dismissed as irrelevant for interpreting and giving direction to moral responsibility. Hence the need to link charity with truth not only in the sequence, pointed out by Saint Paul, of veritas in caritate (Eph 4:15), but also in the inverse and complementary sequence of caritas in veritate. Truth needs to be sought, found and expressed within the “economy” of charity, but charity in its turn needs to be understood, confirmed and practised in the light of truth. In this way, not only do we do a service to charity enlightened by truth, but we also help give credibility to truth, demonstrating its persuasive and authenticating power in the practical setting of social living. Truth needs to be expressed charitably, but charity needs to be carried out in the understanding of what is true and not just what "feels right." Charity goes beyond justice, because to love is to give, to offer what is “mine” to the other; but it never lacks justice, which prompts us to give the other what is “his”, what is due to him by reason of his being or his acting. I cannot “give” what is mine to the other, without first giving him what pertains to him in justice. This can sometimes be difficult unless we realize what belongs to a person by justice. At the same time, however, there is a growing awareness of the exalted dignity proper to the human person, since he stands above all things, and his rights and duties are universal and inviolable. Therefore, there must be made available to all men everything necessary for leading a life truly human, such as food, clothing, and shelter; the right to choose a state of life freely and to found a family, the right to education, to employment, to a good reputation, to respect, to appropriate information, to activity in accord with the upright norm of one's own conscience, to protection of privacy and rightful freedom even in matters religious. So the illegal immigrant, the unborn child, and others who can be exploited have certain rights which cannot be taken away because the person is in the nation illegally or not yet born. Laws which reduce the person to an object to be used for a political gain, makes their life expedient to the whim of another, or make it illegal for one to give a person what they need are laws which the Church must oppose. This is why the Church is not being contradictory for simultaneously believing a reform of health care is good, while opposing Obama's particular version of it. This is why the Church can oppose abortion and not accept the view that merely stopping with making it illegal is enough. This is why the Church can say that nations have a right to prevent illegal immigration without approving certain unjust proposals on how to do so. It's not enough to have a good intended end. One also has to have a good means to achieve this end. Thus in Obamacare, the Church objected to the protection of abortion rights and to the exclusion of non-citizens. Thus in the case of the Arizona immigration laws, she recognizes that illegal immigration can be harmful while still opposing the laws which would permit the suffering and exploitation of the illegal immigrant. Before one can accuse the Church of being partisan, one needs to consider the basis of their position. When certain things are held because of the teaching of God who requires us to treat our fellow man with justice and love if we would claim to love Him, it is unjust to accuse the Church of holding a position out of partisanship. Indeed, such an accusation could reflect more the position of the one accusing the Church who is projecting what they are guilty of onto the Church. Thought for the Day: Contradictions? Christian! Where is Your Faith?